Depression is the most important source of disability in adolescents, partially due to its recurrence. There is a lack of studies on population-based samples investigating the continuity of depressive symptoms during adolescence. This study evaluates depressive symptoms at early adolescence as predictors of depressive symptoms later in adolescence. 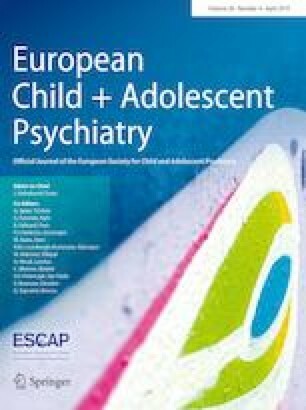 Urban adolescents born in 1990 and enrolled in schools of Porto, Portugal, in 2003–2004 (EPITeen study) were evaluated at 13 and 17 years (n = 1106, 55.9% females), and completed a questionnaire comprising health behaviors and Beck Depression Inventory II (BDI-II) to assess depressive symptoms. A questionnaire on socio-demographic and clinical characteristics was self-reported. Regression coefficients (β) and 95% confidence intervals (CI) were estimated using simple linear regression. The prevalence of adolescents with depressive symptoms above the cut-off (BDI-II > 13) was 11.9% at 13 years (girls: 17.1%; boys: 5.3%) and 10.8% at 17 years (girls: 14.7%; boys: 5.7%). Almost 6% of girls and 2% of boys had BDI-II > 13 at both assessments, and 35% of girls and boys with BDI-II > 13 at baseline also had BDI-II > 13 at follow-up. For both genders, depressive symptoms at age 13 were independently associated with depressive symptoms at age 17 (girls: β = 0.35, 95% CI 0.28–0.42; boys: β = 0.37, 95% CI 0.30–0.44). Depressive symptoms at age 13 were an independent predictive factor for adolescents’ depressive symptoms at age 17. The prevalence of adolescents with BDI-II > 13 was higher in females, but the strength of this association was similar in both genders, highlighting the heavy burden of depressive symptoms already at an early age, among girls and boys. This study was supported through FEDER from the Operational Programme Factors of Competitiveness—COMPETE and through national funding from the Portuguese Foundation for Science and Technology—FCT (Portuguese Ministry of Education and Science) within the project PTDC/DTP-EPI/6506/2014, and by the Epidemiology Research Unit—Institute of Public Health, University of Porto (UID/DTP/047507/2013). Individual grant attributed to CB (SFRH/SINTD/60138/2009) was supported by the Portuguese Foundation for Science and Technology—FCT.